In order to understand computer networking, it is important to have a grasp of the basic terminology associated with the topic. CAN (campus-area-network) – A network of computers and resources that are limited to a campus or a military base. 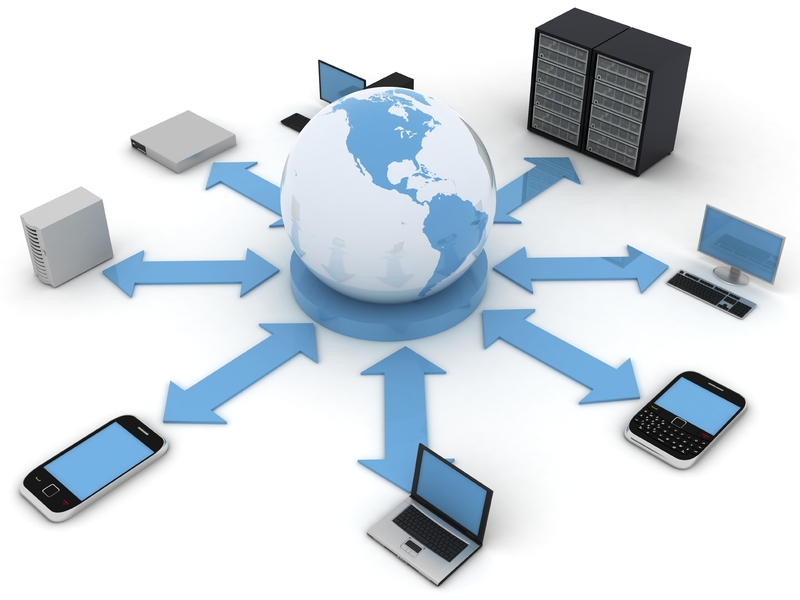 HAN (home-area-network)– A network of computers and resources contained within a user’s home. LAN (local-area-network)– A network of computers and resources geographically close to each other. This area is generally limited to one building. MAN (metropolitan-area-network)– A network designed to cover a city or town. WAN (wide-area-network) – A network of computers and resources that span over the course of two or more buildings. Generally, a collection of two or more LANs is considered a WAN. Architecture – The classification of a network, such as peer-to-peer or client/server. Client – A computer that accesses a (remote) service on a server utilizing a computer network. Protocol – A common set of rules and signals that computers on the network use to communicate. Server – A computer (or device) that provides services to other computers and devices on a computer network. 1. Star: All computers are connected to a central hub. 2. Ring: Each computer is connected to two others, such that starting at any one computer you can trace the connection through each computer back on the ring back to the first. 3. Bus: All computers are connected to a central cable, normally termed bus or backbone. 4. Tree: Group of start networks each connected to a linear bus. PREVIOUS POST Previous post: What is a Network?